Zhang Hua Sen was born in 1935 in Shandong Province, China. He was born into a poor family that moved to Beijing to find work. Unsuccessful, they ended up living on the streets. To survive they sold Zhang’s elder brother to a wealthy family in exchange for food, and as the family split up to find work, Zhang was left to fend for himself. He was ultimately taken in by a Chinese opera school at age seven. Chinese opera training was hard and often brutal. Forced stretching exercises, hours of training, even practicing singing with rocks in the mouth. Students were beaten by the teachers and many did not make it to be performers. To learn Chinese Opera students also had to learn martial art skills, as many of the parts required martial arts ability. Eventually Zhang Hua Sen was performing with the opera company, which opened up travel to other countries as he got older. 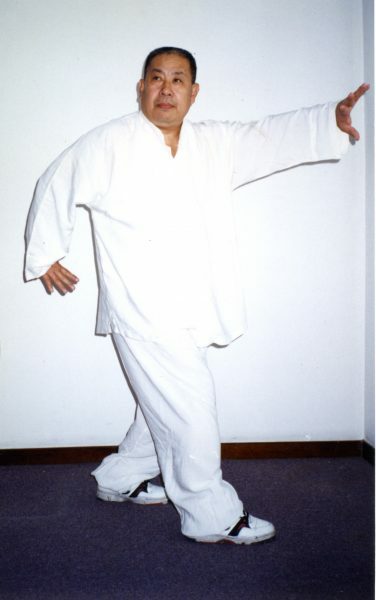 During this period, he began training in Mian Quan (Cotton Fist), a Northern Chinese style that combines hard and soft. Zhang’s motivation for study was self-defense and his teacher was Xu Lian Ji. When Xu moved away, Zhang studied Shuai Jiao (Chinese Wrestling) with Xie Chun Fang. Later Zhang Hua Sen was introduced to the famous Tai Ji Quan instructor Wu Tu Nan. He learned Yang style Tai Qi, as well as Wu style, and also learned Tai Ji Quan push hands from Wu. 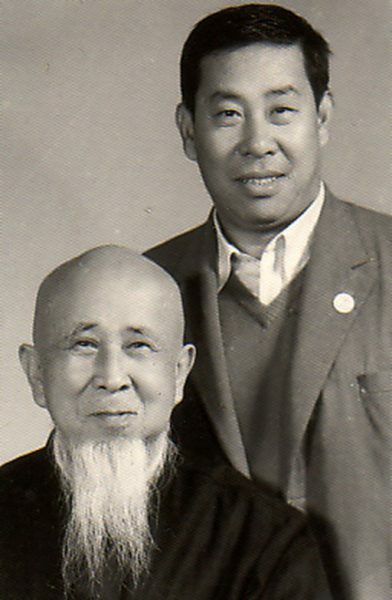 In 1967, Zhang met Ba Gua Master Li Zi Ming, a disciple of Liang Zhen Pu. Li Zi Ming was the younger school brother of Guo Ge Min, Liang’s most famous disciple. Because Li and Guo were from the same hometown, they were friends – and Li was able to grasp much of Guo’s teachings. Li Zi Ming had seen Zhang practicing in the park and saw that he had very good basic skills due to his opera training and previous martial arts background. Li offered to teach Zhang, and Zhang began to study in private at Li Zi Ming’s home. When I first met Zhang in 1994, I was impressed by his physical skills as well as his friendly manner and willingness to teach. He liked to get on the floor with you and let you feel what he was doing. He got excited if you could do things even half-way right. The first day Zhang corrected my basic mud-walking step, and suddenly, techniques that had been difficult were much easier to apply. Zhang’s opera training gave him a very expressive face which helped convey the feeling of the movements, even through the language barrier. A memory that has stuck with me throughout the years occurred during Zhang’s visit to NYC in 2000, where he taught every night for a week. Zhang told us we needed to take smaller steps in order to move faster. He then proceeded to take off around the room in mud steps at running speed. My jaw dropped – as did everyone else’s – in astonishment. It is the most impressive display of mud stepping that I have seen to this day. Zhang Hua Sen worked hard to impart the key elements of Ba Gua training, not only the forms and their applications, but also the basic training exercises that help develop the Gong Fu of Ba Gua Zhang. To this day I thank Zhang and honor him for teaching us the full series of Ba Gua Foundational Exercises that are so critical to attaining real ability in the art. 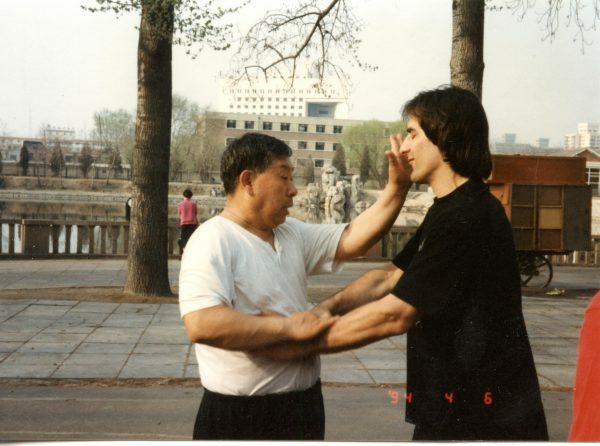 We did extensive practice of Ding Shi (fixed posture circle walking) and lines of single movements, as Zhang felt that practicing these were the way to develop practical skill. Zhang showed me Ba Gua’s Chin Na skills and we practiced throwing and kicking. Master Zhang’s Qin Na and throwing skills were exceptional. He could pick your hand out of the air and lock your wrist, and his body-to-body throws – powered by his low center of gravity and leg strength – were frighteningly quick. Any movement Master Zhang showed was usually accompanied by an example of application. The many applications of the Ding Shi Postures that we teach today have their foundations in Zhang’s teachings. From Master Zhang, I learned Li Zi Ming’s Lao Ba Zhang and the Sixty-Four Hands, Dragon Palm, Ba Gua Lian Huan, 8 Attacking Elbows and the 13 Elbows. Zhang also instructed me in the basics of the Seven Star Whip Stick, the Rooster Claw Knives, The Hand Rolling Saber and the Ba Gua Spear. His instruction in the basics of the various weapons, and his insistence on endless repetition of these basics enabled those of us who were lucky enough to spend time with him to go on to develop practical weapons skills with correct Jin. Zhang Hua Sen was without question a Ba Gua prodigy who inspired all of us who trained with him. 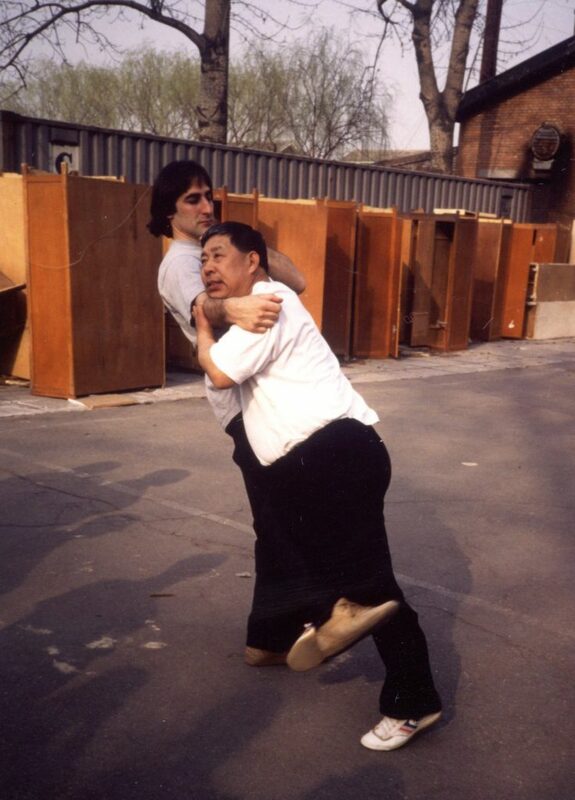 Sadly, Master Zhang passed away in 2007.